DATE OF BIRTH: 4 July 1996, Middlesbrough, North Yorkshire. 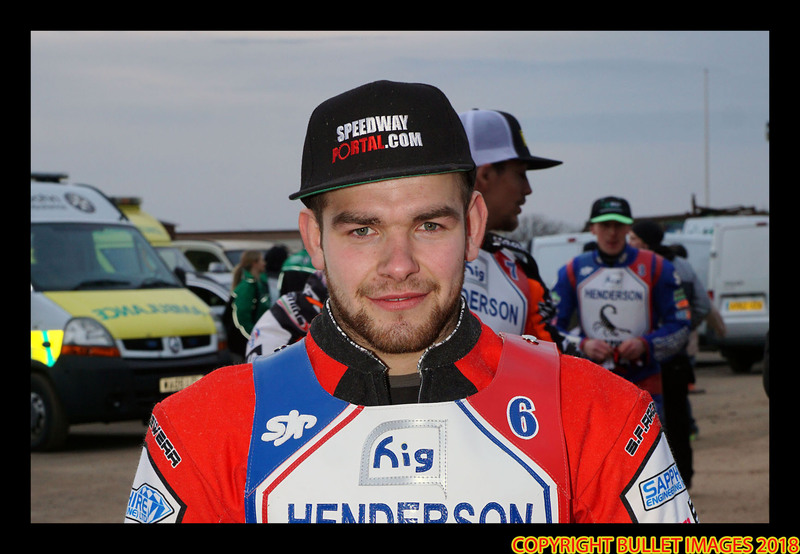 BRITISH CAREER: (2012) Scunthorpe II; (2013) Mildenhall; (2014) Cradley; (2015) Stoke; (2016) Newcastle, Stoke; (2017) Newcastle, King’s Lynn II; (2018) Scunthorpe, Coventry. MAJOR HONOUR: Northern Junior League Riders’ Champion: 2013. CLUB HONOURS: League Championship winner: 2014 [Cradley]; Knock-Out Cup winner: 2014 [Cradley]; National Shield winner: 2014 [Cradley].